Vinakti is a Sanskrit word for “he who is set apart”. 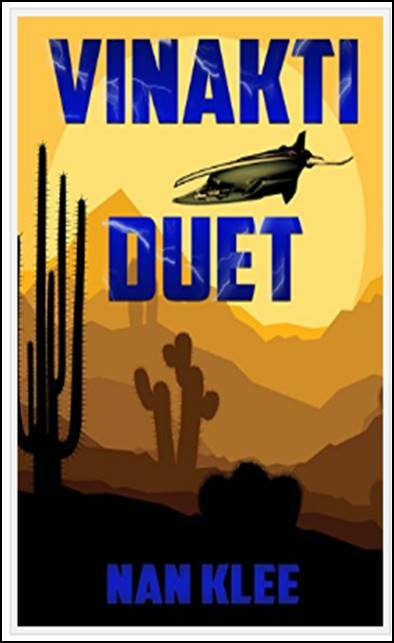 Vinakti Duet is a science fiction romance set on a desert planet where an orphaned half-breed, now successful business woman of rare paranormal talents, must confront her destiny with the handsome and equally talented off-worlder who may be responsible for her father’s death. 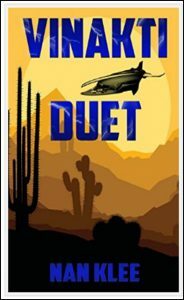 Vinakti is a Sanskrit word for “he who is set apart.” Vinakti Duet is a science fiction story set on a desert planet where an orphaned half-breed, now successful business woman of rare paranormal talents, must confront her destiny with the handsome and equally talented off-worlder she thinks is responsible for her father’s death.